The spiritual fruit of goodness enables sinful man to do good and to be good—good in the truest sense of the word. Goodness, after all, is the essence of God’s nature. Are you suffering an internal spiritual war? If so, that’s a good sign. It’s a sign that you are pursuing goodness, which causes the badness of human nature to fight back. Yes, according to the Bible, badness comes naturally (Romans 8:7). Goodness does not. But God has a wondrous plan to radically transform our character! Though our natural inclination is to defy God in sin, He has determined to help us overcome that nature to live a life of righteousness and goodness. This is possible only through a relationship with Him. As the apostle John explained, “He who does good [as a way of life] is of God, but he who does evil [as a way of life] has not seen God [i.e., has not come to really know Him]” (3 John 1:11). John also explained that those who truly are of God have God living in them through the Holy Spirit: “By this we know that we abide in Him, and He in us, because He has given us of His Spirit” (1 John 4:13). Paul explained to believers that God’s perfect, loving character is “poured into our hearts through the Holy Spirit that has been given to us” (Romans 5:5, New Revised Standard Version). We can receive the gift of the Holy Spirit through faith, repentance, water baptism and the laying on of hands by God’s servants (Acts 2:38; Acts 2:41; Acts 8:14-17). Once God’s Spirit is at work within us, it produces the wonderful fruit of the Spirit: “love, joy, peace, longsuffering, kindness, goodness, faithfulness, gentleness, self-control” (Galatians 5:22-23). These virtues blend together to reflect the overall character of God! Goodness is virtue and holiness in action. It results in a life characterized by deeds motivated by righteousness and a desire to be a blessing. It’s a moral characteristic of a Spirit-filled person. The Greek word translated “goodness,” agathosune, is defined as “uprightness of heart and life.” Agathosune is goodness for the benefit of others, not goodness simply for the sake of being virtuous. Someone with agathosune will selflessly act on behalf of others. Giving to the poor, providing for one’s children, visiting the sick, volunteering to clean up after a storm, and praying for an enemy, these are all expressions of goodness. Goodness is something we must devote ourselves to. We must cultivate it because, coming out of this present evil world, we have not been schooled in doing good. It is not part of our character. We have been schooled in being self-centered, and self-centered people cannot do godly good. 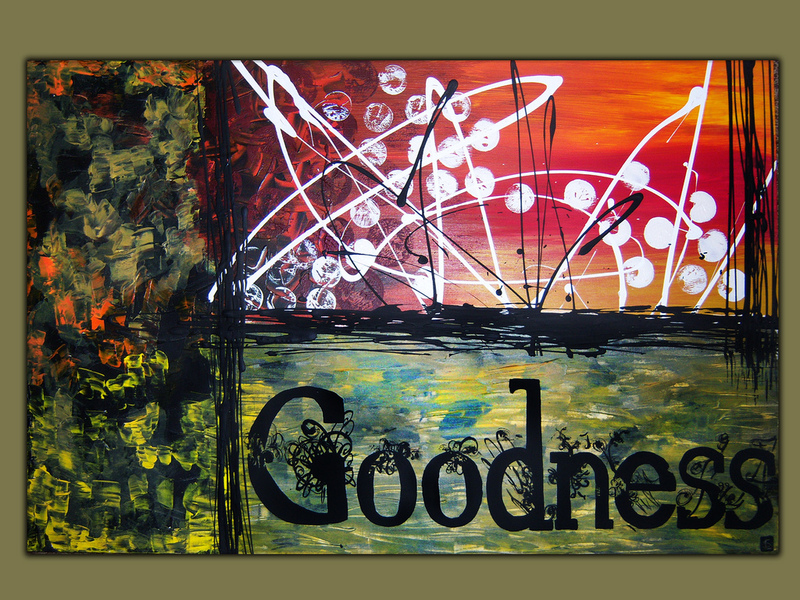 The earth is full of the goodness of the Lord because our Father is good (Psalm 33:5). He is creating us in His image and drawing out of us His own goodness to witness that He is our God and to make us ready for His Kingdom. He has given gifts to all of His children to serve Him and His church. We need to take every opportunity to yield to His Spirit for this purpose and labor to develop the goodness that is its fruit. This entry was posted in Faith, Uncategorized and tagged fruit of the spirit, goodness. Bookmark the permalink. Like any fruit, it has to ripen. Sometimes that comes just with age, sometimes with experience in spite on one’s age.